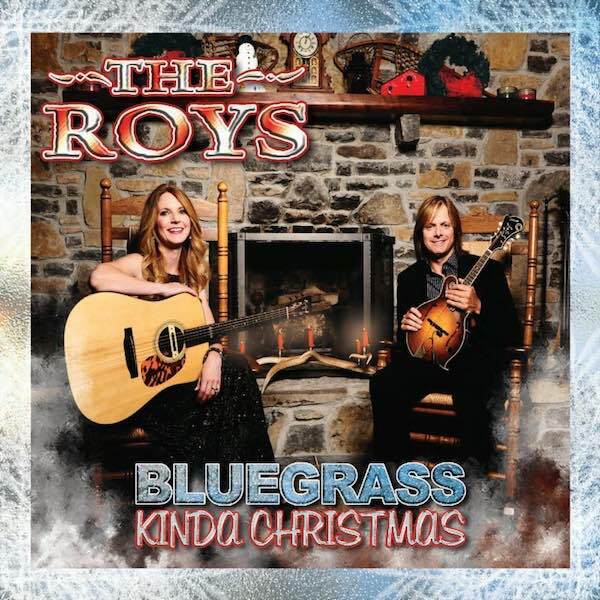 Award-winning brother/sister duo The Roys’ latest release, Bluegrass Kinda Christmas, was named one of Rolling Stone’s 10 Best Country Christmas Albums of 2014. The album was released in November and has been met with high critical acclaim. The Roys are in very good company, with other acts including Darius Rucker, Sara Evans, LeAnn Rimes, the Nashville Cast and more. You can check out the full list HERE. I was pleasantly surprised to see that our Christmas album made Rolling Stone’s 10 Best Christmas Albums of 2014. This is a big deal and such an honour. Each song is very special to us because they hold warm memories of our Christmases and I am beyond touched that our album has made this list with so many other incredible artists. God is good – Elaine Roy. In addition to being named one of the top albums of 2014, The Roys were also featured on Sirius XM’s Track-by-Track with Kyle Cantrell on December 17. Fans listened in as Lee and Elaine took them on a musical journey, telling stories of their favorite Christmas memories and how they all tie in with the latest release. In addition to the title-track, which was co-penned with hit-maker Steve Dean, they also talked about other fan favorite Christmas tunes including “Santa Looked a Lot Like Daddy,” “Winter Wonderland,” “There’s a New Kid in Town” and more. There’s no doubt that 2014 has been a monumental year for The Roys. The release of their fourth studio album The View was met with high praise. The first single from the album, “No More Lonely” became their first #1 on the Bluegrass Today weekly airplay chart. In addition to radio success, The Roys continued their streak at the Inspirational Country Music (ICM) Awards, taking home Bluegrass Artist of the Year for the fourth-consecutive year, in addition to winning “#1 Bluegrass Artist” at the 2014 International Acoustic Music Awards (IAMA).